Программа представляет собой удобный графический Windows-клиент для протокола SFTP с открытыми исходными кодами. Предназначена для удаленной работы с файлами на компьютерах/серверах. Жизненно-необходимый инструмент в арсенале любого системного администратора. * WinSCP should work with MIT Kerberos again, after DLL hijacking defences broke it. * TLS/SSL core upgraded to OpenSSL 1.0.2l. * XML parser upgraded to Expat 2.2.1. * Bug fix: Scripting ''open'' command without arguments issued irrelevant warning about use of stored site. Последний раз редактировалось kostmick; 21.06.2017 в 16:23..
XML parser upgraded to Expat 2.2.2. Hidden configuration option for SSH bug Replies to requests on closed channels. Bug fix: SSH bug Replies to requests on closed channels was always enabled. Последний раз редактировалось kostmick; 05.09.2017 в 14:16..
Translations added: Russian; and updated: Czech, Hungarian, Icelandic, Italian and Spanish. Panel font sample on Preferences dialog is wrapped. Official extension Generate HTTP URL URL-encodes special characters in path. TLS/SSL core upgraded to OpenSSL 1.0.2n. Translations added: Korean; and updated: Bahasa Indonesia, Finnish and Spanish. Bug fix: XML log and .NET assembly API does not use an absolute path for source of SCP download. Bug fix: Failure when coping local custom command that works with remote files to clipboard. Translations completed: Catalan, Czech, Finnish, French, German, Hungarian, Icelandic, Italian, Japanese, Korean, Norwegian, Polish, Portuguese, Romanian, Slovak, Spanish, Swedish and Turkish. Better error message when trying to upload a file to virtual S3 root “folder”. Translations completed: Kabyle, Traditional Chinese and Ukrainian; and updated: Bahasa Indonesia. 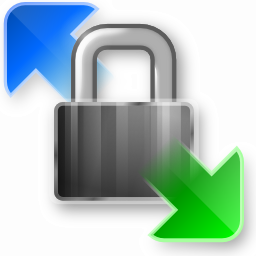 TLS/SSL core upgraded to OpenSSL 1.0.2o. Treating a star as an unset permission for compatibility with Win32-OpenSSH. Bug fix: /refresh parameter with sftp:// URL was not working for SFTP sessions with enabled fallback to SCP protocol. Bug fix: Port number box was visible for S3 protocol, even though its value has no effect. Suspending workaround 1644 for a bug in Windows 10 version 1803 (April 2018 update), fixed in version 1809 (October 2018 update), that caused drag&drop downloads to Windows Explorer end in a wrong folder. Translations completed: Czech, Dutch, Farsi, Finnish, French, German, Hungarian, Icelandic, Italian, Japanese, Norwegian, Polish, Portuguese, Romanian, Simplified Chinese, Slovak, Spanish, Swedish, Traditional Chinese, Turkish and Ukrainian. [Ссылки могут видеть только зарегистрированные пользователи. ] when storing them on SFTP server.